One of the many great things about the Western US is how many incredible places there are to see. If you’re in the mood for desert it’s hard to beat the Four Corners area. If you want mountains then there are a ton of places throughout Colorado, Utah, Wyoming and Idaho that will fit the bill nicely. canyon lovers will find Arizona and Utah to be king. 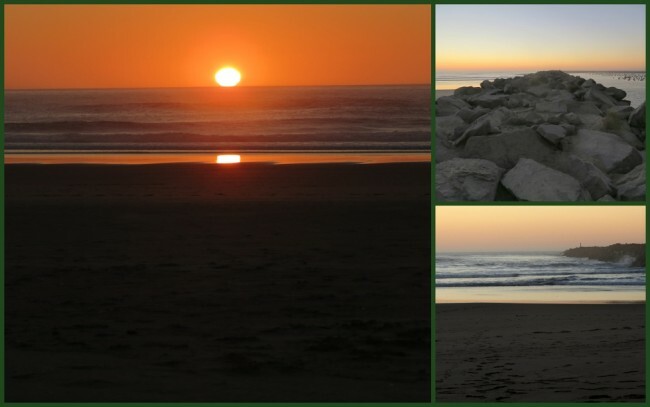 But, if you’re wanting to see big ocean and the lifestyle that goes with it, then you really need to head all the way over to Oregon and check out their many seaside state parks. 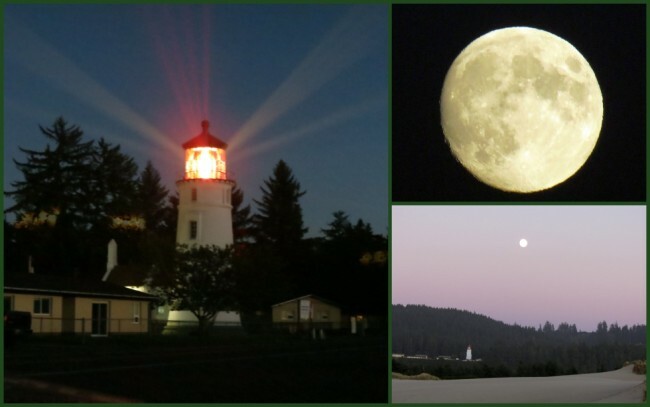 That’s how my buddy Jeff and I came to stay at the Umpqua Lighthouse State Park near Reedsport on the south side of Winchester Bay about halfway up the Oregon coast. We stayed in the campground which we found to be totally pleasant for a campground. 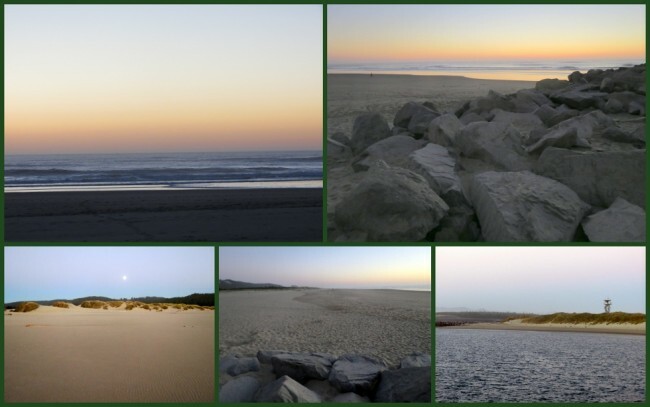 Usually we try to avoid crowds and formal campgrounds but when you’re talking the Coast, no choice. The other campers were quiet and polite, the restrooms clean and the camp hosts top-notch. This lovely park gives you a lot to do, and all close by. They offer year-round camping with 11 hookup sites and 23 tent sites. All campsites offer a fire ring and picnic table. In the campground you’ll find hot showers and flush toilets, pretty much luxury when in the world of camping. If you’d like to step up to something a bit nicer, they have two rustic and six deluxe yurts for those who don’t want to set camp. The yurts come with a lockable wooden door, room to sleep up to five between the bunk bed and futon, all with vinyl mattresses. You also have heat, a fire ring, picnic table and paved parking. The deluxe yurts have even more as they add a kitchen with refrigerator, microwave, sink and full bathroom. In case you get bored they also come with a DVD player and TV. Sorry, no cable or satellite. Umpqua is the only state park to offer the deluxe yurts in case you’re interested. The deluxe units sleep up to seven and do allow cats and dogs. If cabins are your thing, then you’re still in luck as this park has two rustic log cabins ready for rental. Each one-room cabin sleeps up to four visitors and offers heat, a table with chairs, lighting and a deck overlooking Lake Marie where you can stretch your legs in a very rainforest environment where you’re sure to see some wildlife. As nightfall approached Jeff and I made our way over to the lighthouse to watch it as the sun went down. To a guy from Kentucky this was a big-time treat for sure. As there was some ground fog in the area it really set off the light beams emanating from the lamp, giving the appearance of lasers shooting off into the dusk, very dramatic. We drove and walked to several locations to get different perspectives and ended up having a blast doing so. 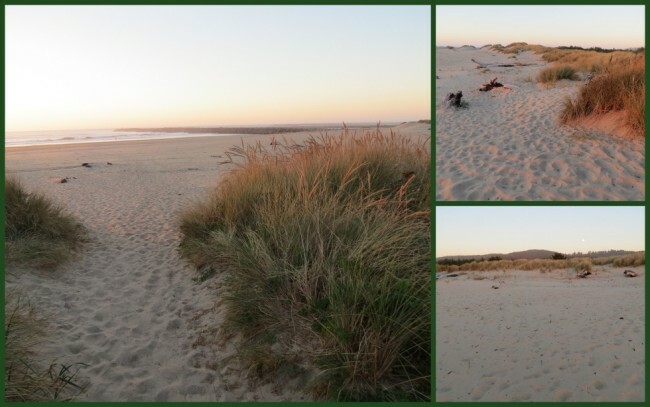 I cannot tell you how enjoyable it was walking up and down the beach taking in the scene, you have to try it for yourself if you ever get the chance. One cool thing you can do from the lighthouse overlook is to do some whale watching. We stopped by but saw none, but if you’re serious they do have a binoculars device there to help you along with your viewing. Apparently gray whales frequent these waters. 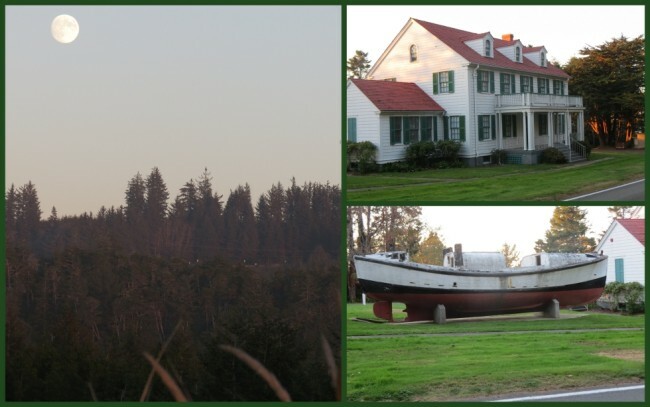 The first lighthouse in this area was built back in 1857 on the northern spit of the Umpqua River but was destroyed in 1861 by a severe storm. 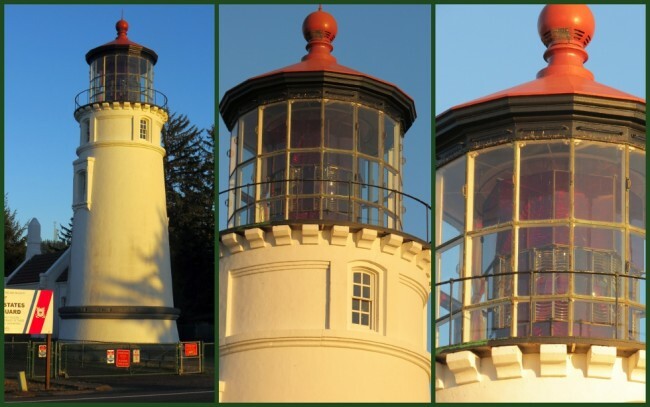 Today’s lighthouse sits 100 feet above sea level and has a 65-foot tower shooting out distinctive red and white beams through an automated system. 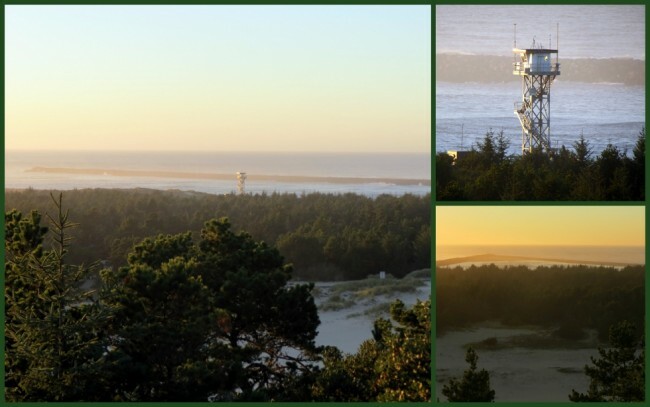 It is the only “colored” system on the Oregon coast. 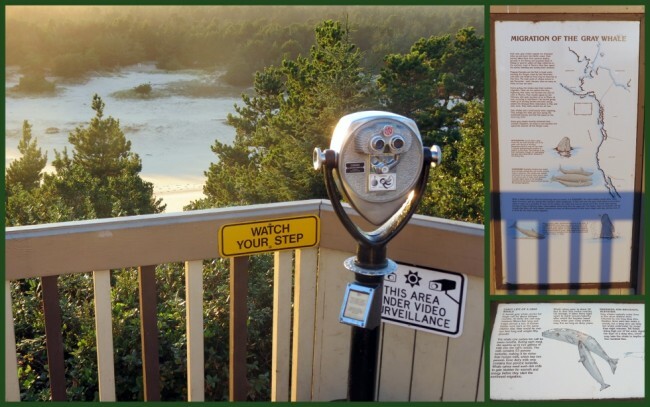 There are several other lighthouse parks in Oregon and you can out more about all their sites by visiting the website operated by the state. I suggest you do so as it will give you in-depth information on things you need to know; such as how to make reservations, hours of operation, best times to visit, etc. Last modified on: September 22nd 2015.